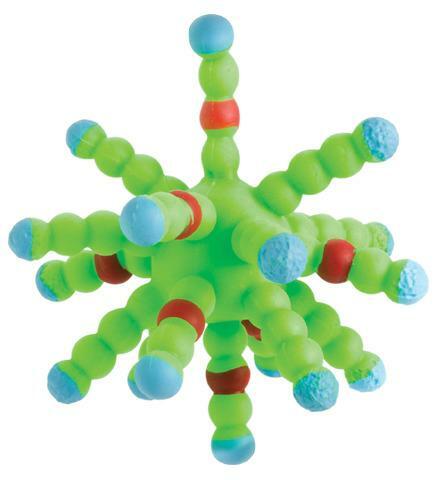 These 3 1/2" wiggly, jiggly balls have 18 legs and fun electric colors. Each Atom Ball has 18 tentacle-like legs and is made of tactile stretchy material. The atom ball is a great sensory fidget toy that helps relieve stress and is perfect for squeezing or twisting between your fingers. CHLOE'S PICK.